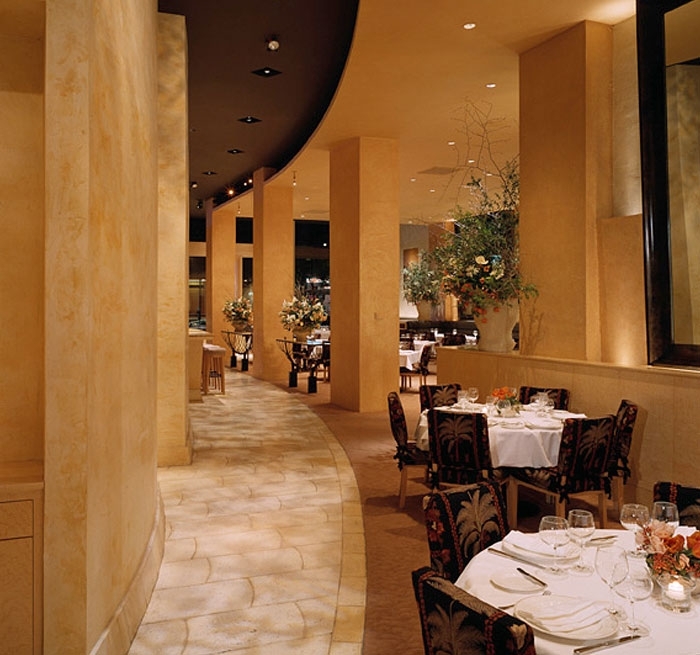 This elegant restaurant is consistently rated among the top in San Francisco year after year. 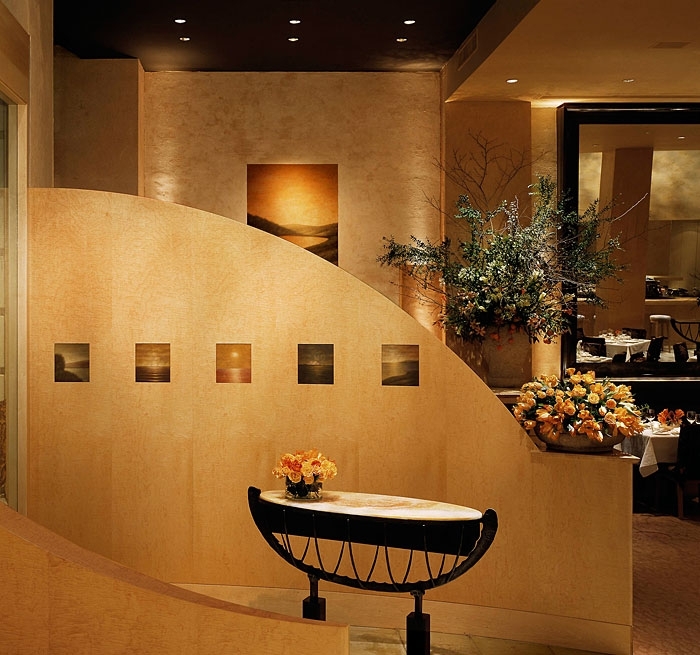 Auerbach Glasow provided architectural lighting design for the project. 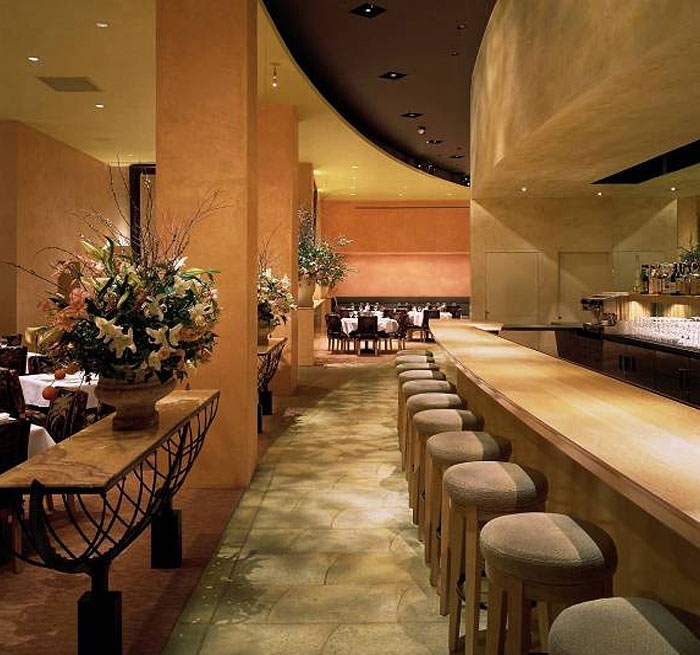 A soft, even downlight field over the dining area contrasts with patterned light in the bar and waiting area. The banquettes and oversize mirrors have integrated lighting, creating “sconces” out of the architecture. 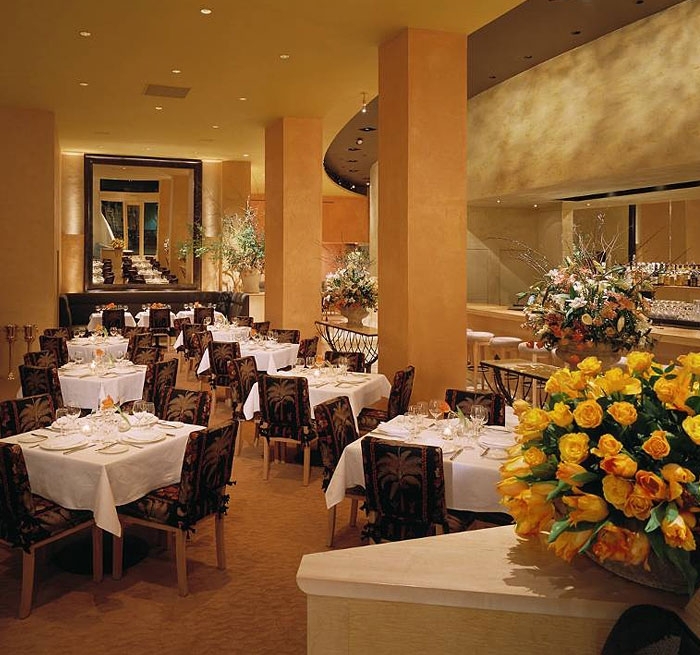 Art and grand flower arrangements are discretely highlighted to provide accent and sparkle within the room.